Bexhill Chamber of Commerce & Tourism is run by its members for its members. Skills Building with Schools & Colleges. We welcome the membership of Bexhill businesses or businesses based elsewhere but who want to do business in Bexhill. We hold regular networking breakfasts, evening events and are constantly in touch via email with our members with up to date information about business or about Bexhill. We also have an email service where we send out members offers and promotions to fellow members. We have no political affiliation and are totally independent. We work with other organisations locally, county wide and nationally and are delighted to be associated with ACES. We are here to help and promote business in Bexhill and Bexhill as a place to visit for the day, stay for a while or as a place to live and run your business. Click our logo above for more information about this beautiful part of East Sussex. Chamber membership offers the chance to become involved in a friendly and effective organization that can help you improve your own businesses as well representing your interests to key decision makers. Click on our logo for more information. 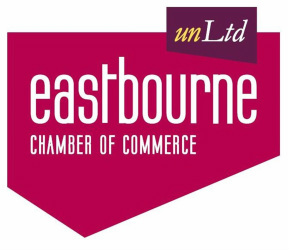 Enterprise l Socialise l Realise when you join Eastbourne unLtd Chamber of Commerce. The Federation of Small Businesses (FSB) is the largest independent business organisation in the UK with some 200,000 members. Businesses with up to 250 employees can join and in East Sussex we have 4,400 members. The FSB is a pressure group for small business interests and we lobby Government at every level including MEPs, MPs and Local Councillors. The FSB also provides benefits to help start up and growing businesses alike. Our benefits package, including 24/7 legal advice and free business banking, aims to keep costs down, to protect your business and enable sales. We run a busy programme of local networking events including breakfasts, curry nights, ladies business lunches and ‘share the knowledge’ evening seminars to improve your ‘know-how’ on key business topics. We are delighted to work with ACES on the issues that matter in East Sussex to enable economic growth. See www.fsb.org.uk/eastsussex for more information. 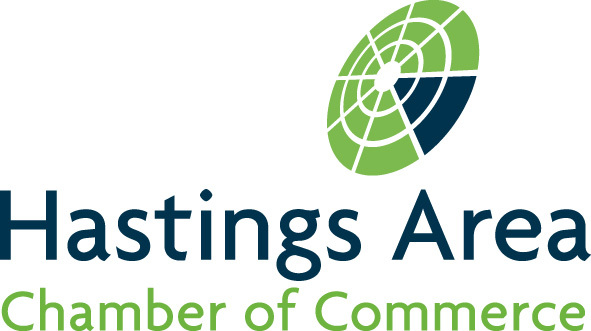 Hastings Area Chamber of Commerce is the voice of business for Hastings, St Leonards and the surrounding area, representing its members to all levels of government and to community leaders across the statutory, community, voluntary and charitable sectors. Our overriding aim is to make the voice of business even stronger. Through our provision of breakfast and networking events, newsletters and lobbying we give members the opportunity to influence, inform, debate, network and profile. We work on behalf of our members, to grow the economy of the town and the wider region in order to create a more supportive environment for businesses to operate in – irrespective of their size, sector or age achieving this in the following ways. Membership of the Chamber gives you opportunities to network with local organisations and other Chamber members. Out of this networking grow contacts and friendships from which we can all draw benefit. The Chamber also organises networking evenings and ‘Share the Knowledge’ events to benefit their members. Through our regular monthly networking meetings we are able to discuss key issues and concerns which members may have and decide on supportive action. We have guest speakers in attendance once a month and also maintain strong links with both Wealden District Council and Hailsham Town Council through key groups such as Hailsham Forward. The Heathfield Chamber is a thriving membership group which covers Heathfield and the surrounding rural economy and provides a forum for local business people to meet, network and develop their businesses. It supports local businesses in Heathfield and the surrounding villages. Runs a programme of regular networking opportunities including regular business breakfasts. Runs Wealden Expo – Heathfield’s own business exhibition. Is responsible for the Christmas lampstand lights around the High Street. Has developed links with other local chambers including Crowborough and Uckfield. 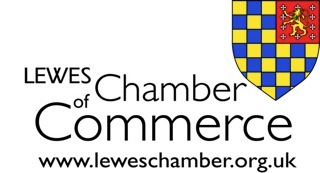 Established in 1935, Lewes Chamber of Commerce represents the voice of the business community in this thriving county town. From accountants and solicitors to shops, hotels and restaurants, the Chamber unites businesses, comments and advises on behalf of the business community and stimulates debate across a variety of local issues. Thanks to our range of members we also have direct access into the local authority, particularly the Town Council level, meaning we can represent Lewes business issues raised at relevant meetings. Through our extensive programme of activities, and through our links with relevant local organisations, we provide a wide range of benefits and services for local business. Newhaven Chamber of Commerce has over 70 members. We are dedicated to supporting businesses both small and large in the Newhaven area by organising various events throughout the year including the Seahaven Business Awards, presentations, evening events with guest speakers, social functions such as an annual Karting Challenge between Newhaven, Peacehaven and Seaford Chambers, a Day at the Races, BBQs and trips to the Houses of Parliament and Buckingham Palace. In addition we have a vibrant Business Breakfast Club that meets every Wednesday. We negotiate discounted advertising rates for our members in the local media. We also run the twice weekly Newhaven Street Market and the once monthly Car Boot Sale in Newhaven Town Centre. ​Our mission statement is to enhance and encourage development of trade, employment opportunities and the environment of Newhaven and to re-establish and maintain premier status for Newhaven within Europe. Peacehaven & District Chamber of Commerce is a thriving modern membership organisation and is the responsible voice of business in the local area. A dynamic member-led organisation, we work to support the local business community and specifically our network of member businesses. Our job is to strengthen the position of our members and ensure that the interests of local businesses are heard. We support any size company at any stage of development to grow and prosper within Peacehaven, Telscombe Cliffs and East Saltdean area. Run by business owners for business owners, Peacehaven Chamber and ACES are committed to promoting the interests of the business community in East Sussex. By joining the Chamber, members’ business voices are heard. We have a thriving Breakfast Club on the first and third Tuesdays of each month, an evening Dining Club on the last Tuesday of each month and regularly hold networking events with other Chambers of Commerce. The Chamber regularly holds networking events where members can meet other like-minded businesses. 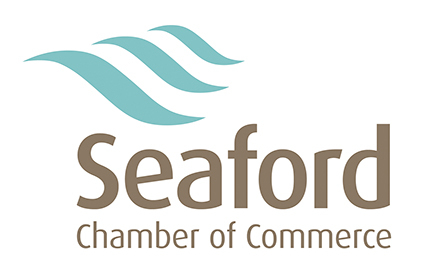 Its Breakfast Meetings take place on the first Thursday of the month at Seaford Golf Club. We put forward members views on key strategic points affecting the local business community - we are involved in meetings covering local business issues, traffic, parking, etc. within the Seaford area. Members can support the Chamber in town planning and other local business issues. We have close involvement with local councils and provide the opportunity to share in the future of Seaford. The Chamber is a key partner in the ‘Christmas Magic’ late night shopping events and organises regular visits from French and Italian Markets to Seaford. Uckfield Chamber of Commerce is a successful networking organisation which also offers advice to businesses and industries of Uckfield and district. It encourages and supports measures to improve the social and economic conditions of the community and liaises with representatives of outside bodies about business interests affecting the town and district. Uckfield Chamber is a founder member of ACES and is pleased to support and attend all ACES meetings and events with our sister Chambers across East Sussex.